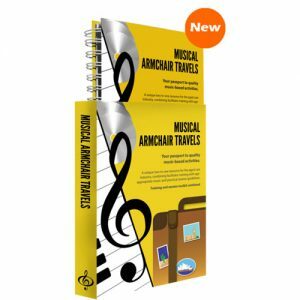 Musical Armchair travels is a unique training package that includes a training DVD, practical sessions guidelines and six music CDs to enable staff in aged care settings to facilitate engaging and therapeutic, music-based activities. On the DVD, highly qualified and experienced aged carer professionals reinforce the use of best practice programs to enhance the quality of life for elders in care. For new staff, with little or no practical experience, this resource provides a ready-to-go program with step-by-step instructions on how to run quality Musical Armchair Travel sessions. The DVD provides the training component of this resource. It guides you step-by-step through the processes of planning, documenting and running therapeutic armchair-leisure programs for elderly clients. The CDs provide an extensive library of purpose recorded music for armchair journeys. Next to each CD you’ll find song notes and practical-session guidelines to help practitioners prompt residents’ memories about songs, artists and the times and places where they were popular.